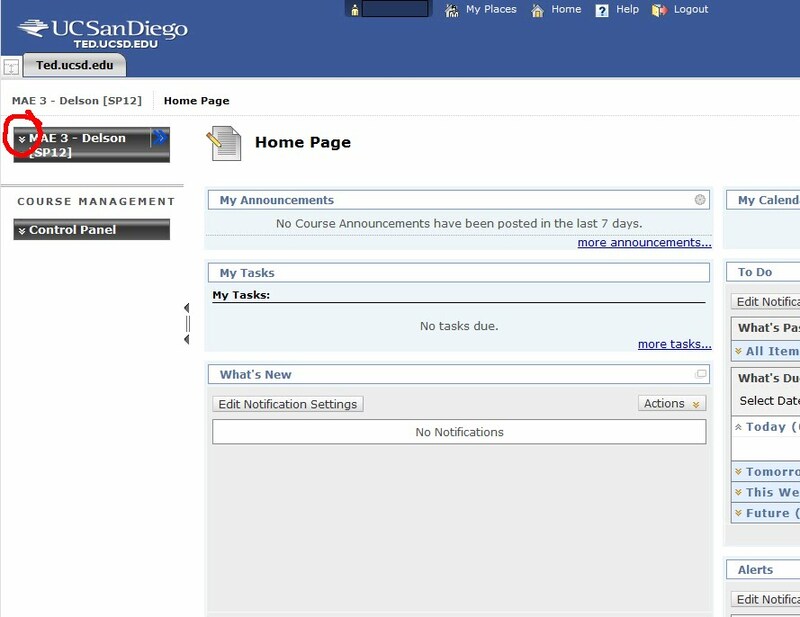 Use internet explorer if you cannot find the menu on the left hand side of ted.ucsd.edu. You might have to click a small arrow to expand the menu. 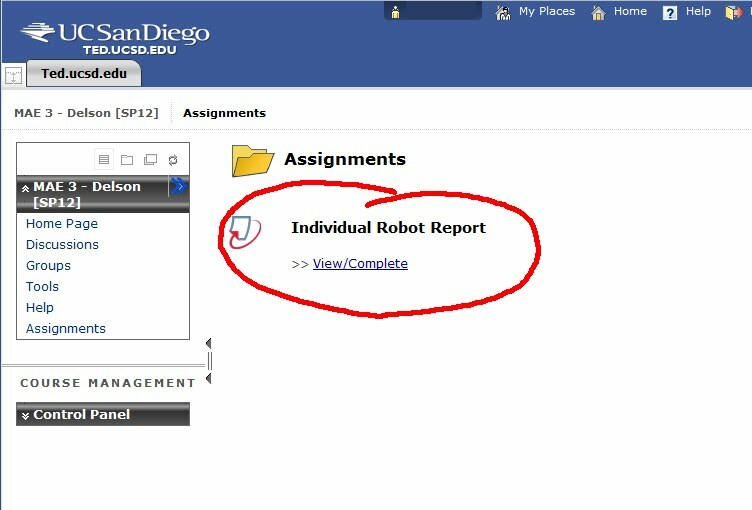 Once you've found it, just follow the directions to submit your electronic version of your report. 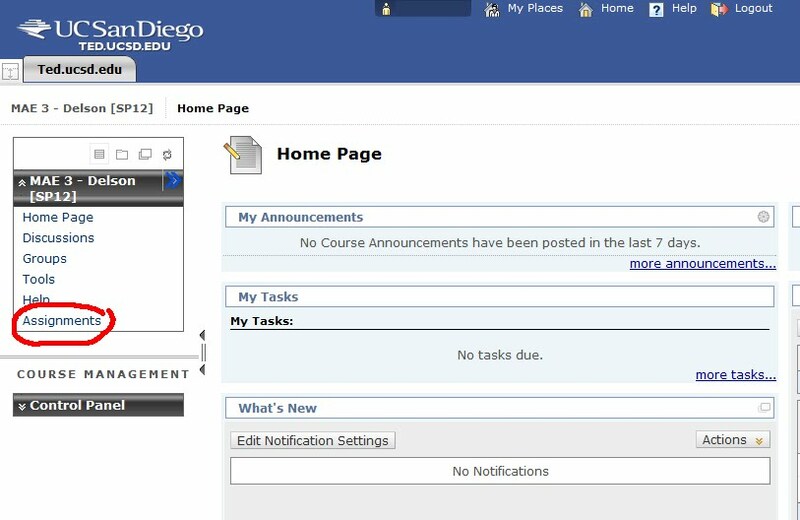 If you cannot see the "Assignments" option then your menu is likely minimized. In order to maximize it you need to click the arrow circled in the following picture. Finally, the Turnitin link should be available for you. Click on View/Complete to begin the process.